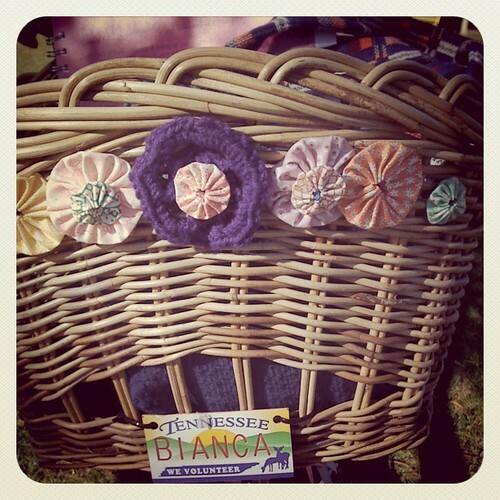 + Fabric yo-yos from Etsy sewn onto my bike basket. 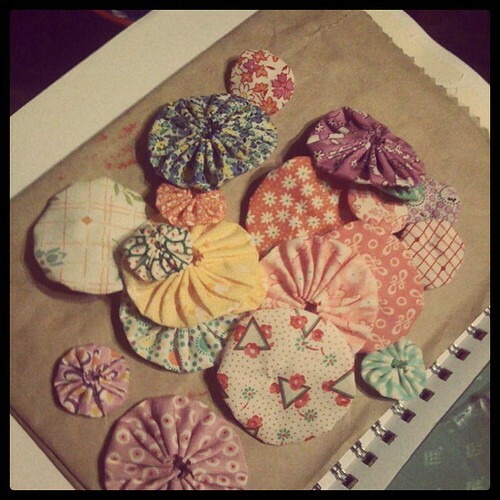 Buying; Instant film, vintage dresses, a pretty swimsuit, an iMac, rainbow keyboard stickers, a crocheted bicycle skirt guard, a bow and a beret. Listening to; The Morning Benders & Titus Andronicus. Consuming; Butter menthols, cheese and biscuits, hot milo.